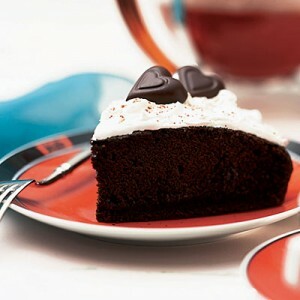 A very moist spongy chocolate cake recipe. Great for birthdays and parties. easy to follow steps make this no hassle recipe. Sift together cocoa, flour, baking powder and a pinch of salt. Beat eggs well and keep aside. Add eggs slowly and stir. Fold in the flour mixture. Add 2-3 teaspoons of water. Pour into a greased and floured pan. Bake at 190C for 40-50 minutes in a preheated oven.